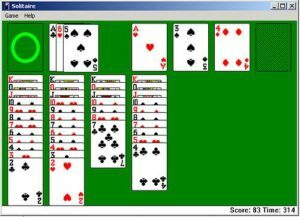 Who didn’t like to play Solitaire when it was the only cool game available on PC? But if you think that the lack of diversity is the only reason people love card games you are in for a big disappointment. These games didn’t die off with the rise of the video games industry. Rather, they thrived and now you can play online against real people from all over the world. The plethora of available card games makes this group of games extremely popular on a range of platforms (PCs, mobile devices, gaming consoles, and so on). But do you know which card games are the most popular and why? We did a quick poll and rated some of the best games for you. This way, when you feel like playing some cards, you’ll know which ones are worthy of your attention. 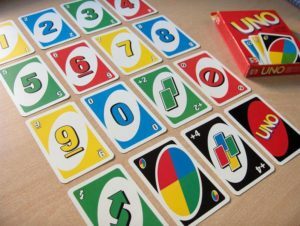 UNO is quite popular and, just like many other popular card games, it started out as a physical game where players must be at the same table to play. The game’s origins trace back to a suburbanite of Cincinnati in 1971. The game’s inventor made a decent chunk of change once the game became very popular. Unlike traditional card games, this one uses cards specific to this game. The purpose of the game is to get rid of all the cards in your hand, until you’re left with only one. The first player who manages to do this wins the game. The game can be played online but it is just as fun as it was back then, when it just started. Poker is one of the most famous card games in the history of card games, and is still going strong despite bursting on the scene in the early 19th century. The main purpose here is to get a specific combination of cards using your skills and a smart strategy that combines the ability to play the odds as well as your fellow players. This game is a lot of fun regardless of whether you play it online or face-to-face. But things get extremely interesting and the stakes become elevated in the form of gambling. Also known as Patience, the game of Solitaire is, unsurprisingly, usually played by a single player. The purpose of the game is to sort the cards in some fashion, depending on the specific rules for whatever version of Solitaire is being played. You win once all the cards are neatly arranged, but there is always the risk of getting stuck if a strategy isn’t employed to prevent this from occurring. The game is fun but the challenge is not that significant. However, it is a fantastic way to kill time, and is probably the most well-known due to its prevalence with bored office drones around the world. 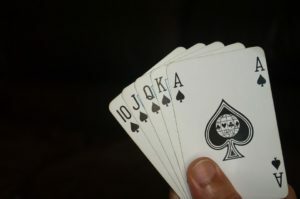 Also known by the shorthand ‘Gin’, this game is usually played in pairs and requires players to gather points based on the value of the cards. Each player must make as many ‘melds’ of 3 or more sequential cards of the same suit, or cards of the same value. Players must also get rid of ‘dead wood’ until the end of the game. Each player starts with ten cards. The aim of the game is to lay all of your cards on the table before your opponents do. 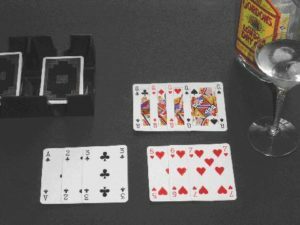 Canasta is a lot of fun, but you need to play it with four or more players to make it challenging. It is part of the Rummy family of games so it also uses melds, but this time you’ll have more chances to make one as the game is played with two regulation decks instead of just one. This started out as a game of dice, where the player who rolls the bigger dices wins, but it got transformed into a game of cards with dices on them where you can win by forming combos. Honestly, this is more of an acquired taste and it doesn’t come with too much of a challenge. Rumor: The Witcher II's protagonist to be aged.